Here is an update on how we see the market for green industry mergers & acquisitions right now. First, we see a great deal of interest in many markets from both buyers and sellers, particularly in the commercial maintenance sector. Although the largest companies within the industry, which have traditionally played a major role in industry M&A activity, have been largely out of the market for over two years now, the interest level of regional players and emerging businesses is relatively high and increasing. to be an uptick in private equity interest in the industry as a whole, probably originating with the potential sale of The Brickman Group. That interest may accelerate, depending on how successful the Brickman sale is and the level of valuation which is achieved. Lawn care M&A activity has been light, largely driven by an apparent low level of activity by industry giant Trugreen Lawncare, a unit of The ServiceMaster Company. However, that will not likely last forever. In addition, we recently picked up hints that the second largest lawncare company, Scotts Lawn Service, a unit of The Scotts Miracle-Gro Company, may resume acquisition activity.  We also believe that, while little has happened so far, the market is right for a new lawncare consolidator to appear on the scene as well. Acquisition activity related to companies focused on design-build and other segments of landscape construction remains limited, although opportunities should develop as the economy continues to strengthen. However, these transactions are always a challenge and often require both creativity and patience. Despite the higher level of interest and activity, buyers (and their financial backers) continue to be quite disciplined and, as a result, there has been little movement in valuations. We do not really see signs that this situation is likely to change in the near future. In some cases, the reality of valuations has made it difficult for buyers to find willing sellers. Nevertheless, a sellers’ market has not emerged. We would be happy to discuss your particular situation confidentially. Please give us a call or send us an email. We will also be attending the Green Industry Conference and several other industry events this fall and winter. We would be happy to schedule a time to meet. My kids remember with some fondness (at least in my dreams) a few business maxims I have drilled into them. The first one they will tell you is “You Can’t Save Money by Spending Money,” no matter what anyone tells you. The second may be more important, “Don’t Try to Sell What Nobody Wants to Buy.” A lot of people may not agree with that idea given Steve Jobs famous (and extraordinarily successful) habit of telling and showing people what they want, but never asking. I would argue that, in fact, Steve had a profoundly insightful way of discovering what people really do want to buy, even if they didn’t know it yet. I have been doing a lot of thinking about applying that simple maxim to the process of selling a green industry business. So what is it that business owners want to buy and how can you make your business irresistible to potential buyers? That’s the topic we will explore in the webinar which will be offered at two different times. Click on a session to register. Click here for a list of markets with opportunities for business sellers.. The primary focus is commercial maintenance, but some design-build may be acceptable. Ron Edmonds was interviewed on Jody Shilan’s internet radio program FD2B Talk Radio recently. The topic was Creating an Exit Strategy for Landscape Contractors. Click hear to listen to a replay of the one-hour program. If you know of green industry business sales transactions which should be reported in Green Industry Merger & Acquisition News, please contact us. John Warrillow, the bestselling author of Built to Sell: Creating a Business That Can Thrive Without You, will lead a one-hour presentation on building a sellable business. Built to Sell was ranked by both Inc and Fortune Magazine as one of the best business books of 2011. Be sure to list Ron Edmonds or The Principium Group as your advisor when you register. The webinar will be held Wednesday, October 16, 2013 at 11:00 am EDT, 10:00 am CDT, 9:00 am, MDT and 8:00 am PDT.